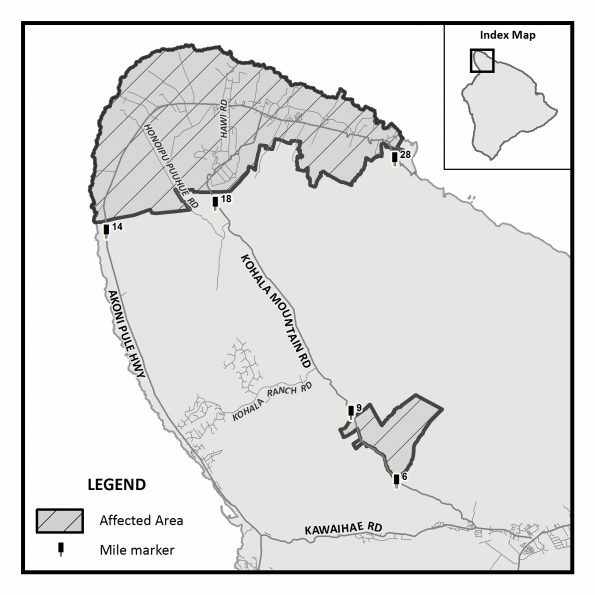 Hawai‘i Electric Light Company announces a scheduled power outage that will affect customers in North Kohala. The outage will be from 10 p.m. on Thursday, Nov. 3, to 5 a.m. on Friday, Nov. 4, 2016. This temporary outage is necessary to allow Hawai‘i Electric Light personnel to safely perform maintenance and upgrade equipment to improve system reliability. The affected communities are Hawi, Kapa‘au and Halaula, as well as customers along Kohala Mountain Road between mile marker 6 and mile marker 9. Hawai‘i Electric Light advises affected customers to unplug sensitive equipment prior to the outage and to keep refrigerator and freezer doors closed. Customers who depend on medication or life support equipment should make arrangements for a back-up power supply or transportation to a facility outside the affected area. Hawai‘i Electric Light regrets any disruption this outage could cause and thanks customers for their patience and understanding. If there are any questions or concerns, please call 969-6666.